Around the office lately, we’ve been discussing our old standby dinner recipes, and sharing tips with each other for new dishes to make. Busy as we all are, it’s hard finding time to research new recipes, but it’s nice to try something new every now and then. 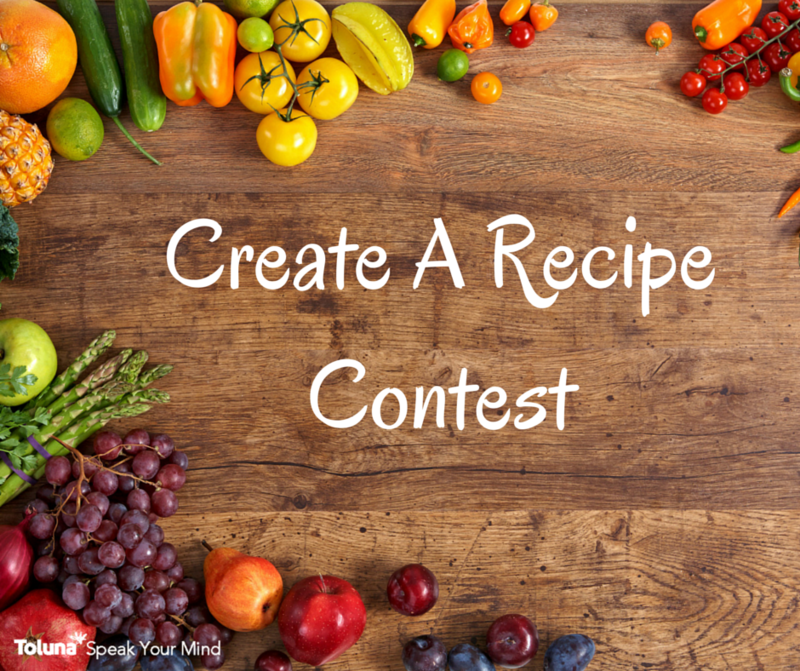 So, with food on the brain, our August contest asks you to share some favorite recipes with us and the Toluna Community. But, not just any old recipe – since this is a contest, there’s a twist! Each Monday in August, we’ll present you with 3 ingredients. The challenge – share a recipe you enjoy (or make up something new!) utilizing all 3 ingredients and post it as a Toluna topic. The week’s ingredients will be posted here on our blog, and as a TolunaTeam topic. We can’t wait to discover all of the wonderful recipes our community has to share, and maybe sitting down for a meal or two to enjoy them! Have fun, be creative and Bon Appetit! P.S. If you cook up any of your fellow community member’s dishes be sure to share your review with us here, and comment on the owner’s topic with your thoughts! *Promotion Rules: Open to US and Canada only. Limit one topic created per person per week. The content’s title must begin with “Toluna Recipes: Week 1” to be officially entered, contain at least one relevant image, and must be created no later than August 7, 2015. Members will earn 1,500 points for submitting a recipe.